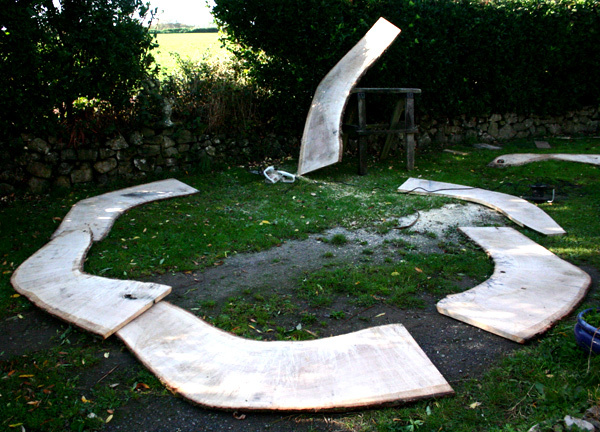 Storytelling circle for the St Edmunds RC Primary School Peace Garden. 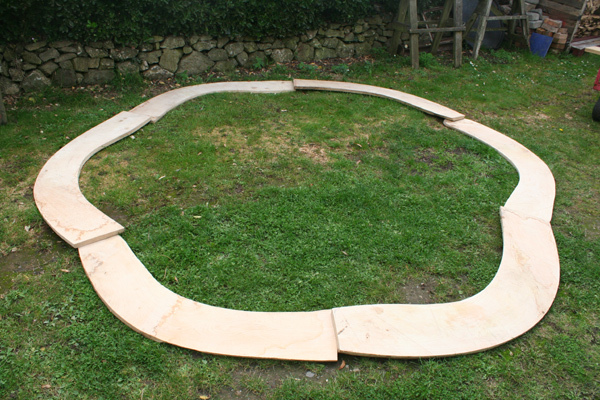 This project came about after seeing a letter in ‘Living Woods’ magazine (click here) from the school asking for a circular seating area for 30 children. 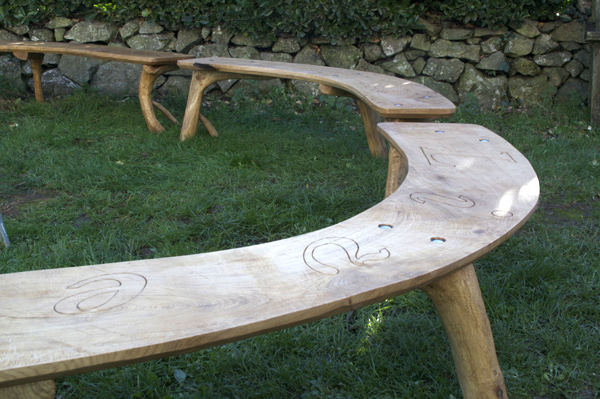 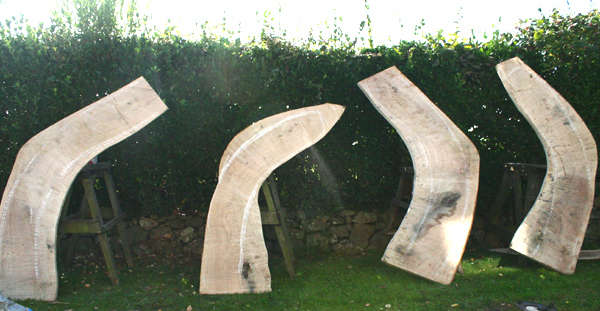 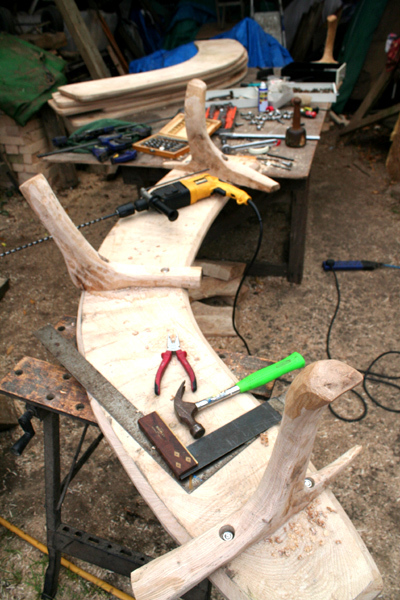 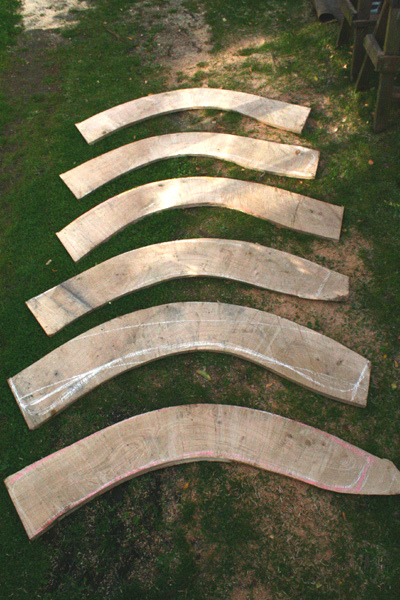 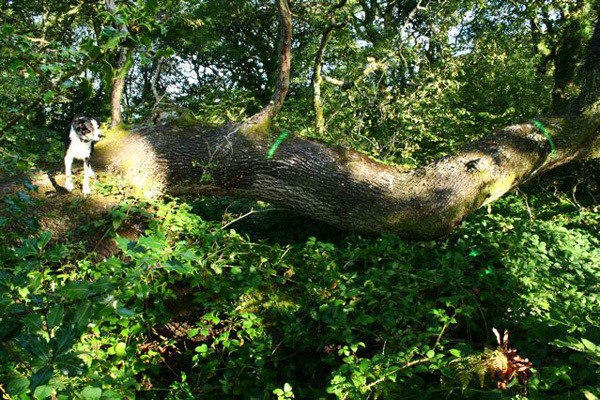 We sourced a local fallen Oak which was chainsaw milled by ‘Tree Solutions’ in the forest to provide the six large curves to form the circle. 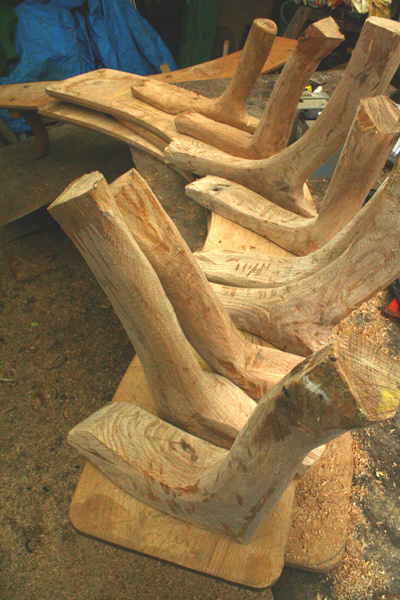 Eighteen forked branches came from the same tree to form the legs. 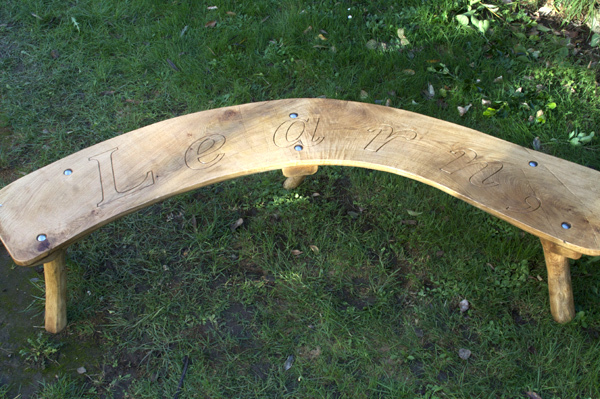 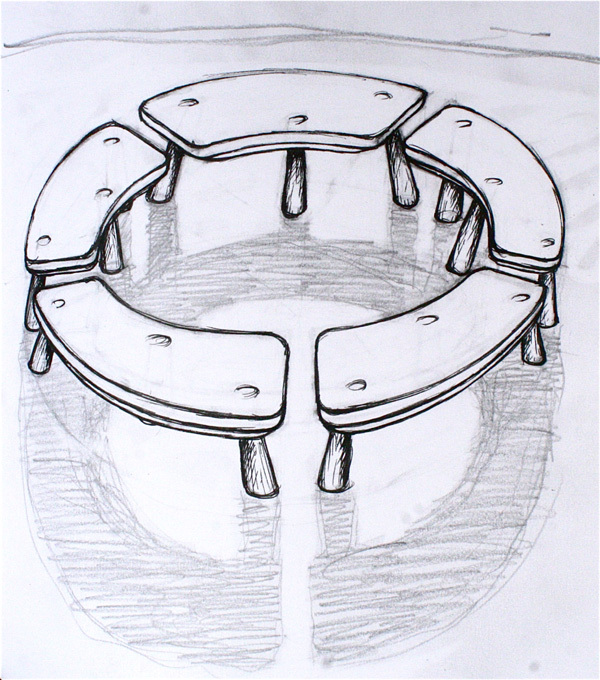 The resulting seating was inscribed with the Schools ethos.